Let’s Get To School On Time! When we hear the term “parent involvement,” we tend to think about activities such as volunteering in our child’s classroom, helping out with a school fundraiser, or coordinating a PAC committee. All of these roles are important, and certainly much appreciated by the teaching staff, parent group and school administration. After all, our parent volunteers help to make special events such as our classes’ Reindeer Games, or the Hot Lunch program, successful for our students. But what is the most basic form of parent involvement you can do to support your Kindergarten children? Arrange to have your child arrive at school on time. When your children arrive at school on time they have those precious minutes at the start of the day to sort out their belongings, greet their teacher and classmates, and be confident they have not missed out on anything! Being on time is a life skill, and affects every aspect of living–our jobs, classes and appointments, and even our entertainment such as concerts and sporting events. We all know how important it is to arrive on time for work. Our children’s work is to attend school, and to be on time. 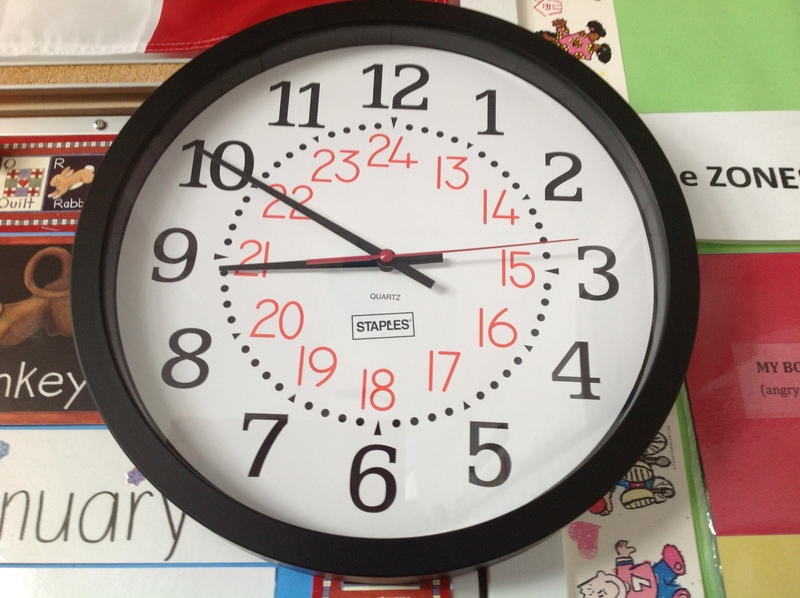 Being on time is respectful to your child’s classroom teacher and the other students. It can be disruptive to the class when your child arrives late as the teacher has already started teaching and the children are involved in their activities. Often the teacher must stop teaching the rest of the class, to get your child settled and brought up to speed. And when your children arrive late, they feel like they are playing catch-up for the rest of the day. Being on time shows you value punctuality and reliability. As parents, our organizational skills are paramount for modeling to our children that not only must they be on time for school, but we must also show them how to get ready to be on time for school. There will always be times when your children may be late due to a dentist appointment, you had car troubles or the family stayed out late for a special event. But because we know these things happen, let’s try to be on time for school on all the other days. If you arrive to school late, after the second bell has rung at 8:55 am, you must report to the school office. You will need to sign the Late Book, and take a “late slip” for your child to give to his or her teacher when entering the classroom. It is just as important for parents and caregivers to arrive on time for dismissal. Your children have worked very hard during the school day and are excited to tell you all about it at 3 pm. Sometimes, when parents are not at the door to greet their children, the children can become quite upset and worried. We understand that there are the occasional circumstances that cause a parent to be late for pick up. If you will be late, please phone the school office so that the office can let the teachers know, and then we can inform your child. If you are going to be very late, we will take your children up to the office and you can pick them up from there. We know that being on time for school requires good planning at home. But what a wonderful gift to give your child, the gift of being punctual, reliable and ready to learn. In the next few weeks we’ll talk specifically about how we establish classroom routines and how you can establish home routines to help your child be on time for school. To learn more about Ridgeview’s Kindergarten start time, click here. To learn more about Ridgeview’s Callback Program, click here.